With more than 187 million members across 200 countries, LinkedIn has changed the way real estate professionals do business. Initially viewed as an online resume, LinkedIn is now thought to be the online social site for business professionals to connect, network and engage. Ready to get started, but don’t know how? Check out my top five ways to boost your real estate business and leverage the power of LinkedIn! Your LinkedIn profile should be compelling and clear so that potential clients, recruits or business relationships are able to quickly recognize your area of expertise. Keep in mind, LinkedIn members do more than 5 billion professionally oriented searches on the platform. Don’t get overlooked in that overwhelming number of searches because your profile wasn’t complete. Take your time when preparing your content. Just as your blog is a direct reflection on the professional nature of your business, so is your LinkedIn profile. You wouldn’t post an article to your blog without double-checking grammar, dates and spelling. Put the same effort into your LinkedIn profile. Grammatical errors send a message you don’t want associated with your professional reputation. Add all relevant skills and training you’ve earned throughout your career. Remember, buyers and sellers will research online, digging for details about you and your business long before they ever connect with you offline. Make sure their question of “what’s in it for me” is easily answered. Let your unique personality and abilities to shine through. While this is a professional network, you do want to inject character into your profile. 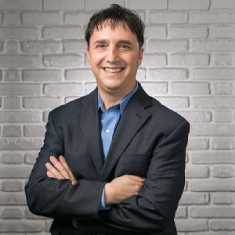 This will create differentiation from the other real estate professionals in your area. Optimize your LinkedIn profile with keywords specific to your expertise and location. For example, if you specialize in short sales in Lexington, KY, your keywords would be “Short Sale Specialist Lexington Kentucky.” These are searchable terms that allow people to quickly find you when searching real estate professionals in your area. Optimize your profile image when uploading your professional headshot. This means using your identified keyword (including your name) in the saved title of your image. Since this is a professional community, make sure your image is a high-resolution headshot that makes you easily identifiable. Customize your profile URL with your name (first and last) making it easier to locate and market your profile. By default, LinkedIn ascribes an arbitrary URL when you initially set up your profile. For branding and marketing purposes, you will want to customize this link and create your unique LinkedIn destination. After completing your profile, it is time to make connections. Start by reaching out to your friends, existing clients and professional relationships that you have already established. Use LinkedIn’s internal search to explore by name, company or keyword. Choosing “advanced search” will offer a substantial amount of options allowing you to do a deeper dive into keywords, location or industry. One very important note: Do not approach strangers as it can affect your reputation as a real estate professional. It can also get you banned from adding any additional connections if you are marked as a spammer. With that said, it is perfectly acceptable to ask your current connections for recommendations or referrals to someone they are already connected to. The power of LinkedIn lies in the ability to research, locate, connect and engage all in one location. It is a social network dedicated to boosting your business by working alongside your current offline marketing efforts. As with any successful marketing endeavor, the true magic is found once you stop lurking and get involved. Join groups with a relevant niche or topic. Start a topic around a niche and get a conversation going with that crowd. You can identify the topic you are interested in (e.g. real estate) and provide helpful answers to these questions. Doing so can help establish who you are and allow you to connect with people within that niche and even a particular location. Like or comment on the status of your connections. If they post their latest blog article, make a comment indicating what really resonated with you. What did you like most about it and how will that impact the way you do business? We all love hearing feedback, especially from trusted business connections. Follow companies through LinkedIn’s “Company Follow” where you can identify possible recruits, keep up-to-date with the company through status updates and even receive notifications when an employee makes a move. Research companies (competitors) within your local market through LinkedIn’s Advanced People Search feature. You can filter your results and save your search parameters so you don’t have to go back through the same search each time. LinkedIn gives you the ability to link out to your website, blog or any other website you choose. It is a simple set-up process and a fantastic way to establish your brand while driving traffic to additional online properties. Once you determine which web sites you will link to, make sure to change the standard “My Website” title that LinkedIn provides. Edit that basic information to give connections a better understanding of your services and the specific information you are offering. 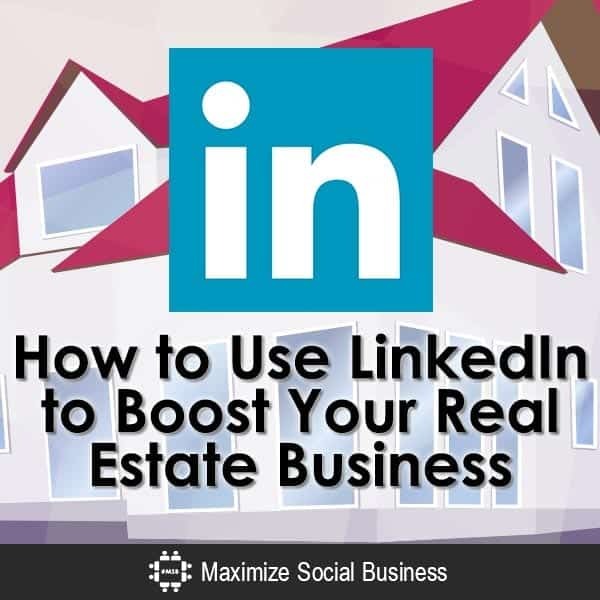 As a real estate professional, it is critical that you make LinkedIn a part of your online business building efforts. As you look to gain market share and brain cells, it’s a perfect way for savvy professionals to grow a thriving real estate business! Some excellent tips. Another thing you can do is maintain a good company profile. Especially if you have multiple agents in multiple locations all over the world. This give one central location for a client to get in touch rather than going through different agents.